Recovery costs surpass $5billion, according to the latest needs estimates. In some cases the impact is 3.5 times countries’ Gross Domestic Product (GDP), for example in the British Virgin Islands.The principal economic sectors of tourism and agriculture have been significantly affected, according to assessments made public during the conference, organized by the Caribbean Community (CARICOM) with support from the United Nations Development Programme (UNDP) working with sister UN agencies. 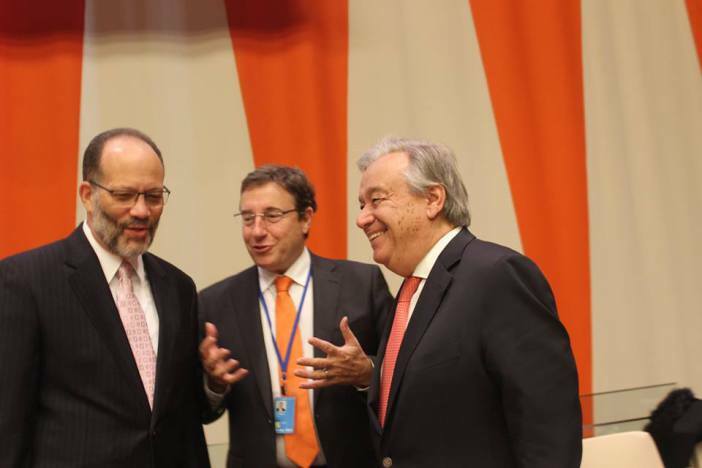 “Countries in the Caribbean need support now to rebuild, and to take effective climate action. 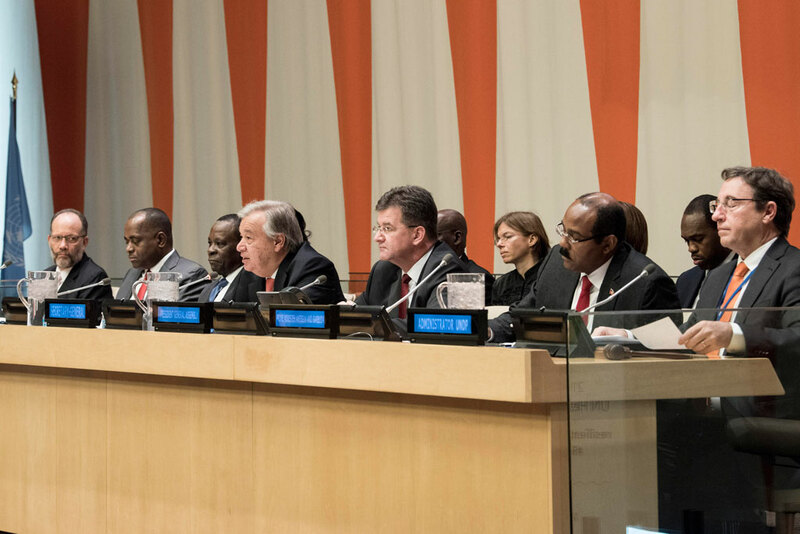 We need a new generation of infrastructure that is risk-informed, to underpin resilient economies, communities and livelihoods,” said UN Secretary-General, António Guterres. Climate-vulnerable islands were decimated, like Barbuda, the smaller of the two-island state of Antigua and Barbuda, and Dominica, with deep social, economic and environmental impacts. Other severely affected islands were Anguilla, British Virgin Islands, The Bahamas, Turks and Caicos Islands. Haiti and St Kitts and Nevis also suffered damage. Sint Maarten/St Martin as well as Cuba and the Dominican Republic were impacted, in addition to Puerto Rico. “Climate change is not a theoretical question for the people of the Caribbean. You live this reality daily. Our sentiments and well wishes will not be enough. Our messages of solidarity alone will not do. Right now, it is time for us to act,” said President of General Assembly, Miroslav Lajčák. In Barbuda, damages surpass US$130 million with recovery needs of over $220 million, according to the latest post-Irma assessment. The tourism sector, which is crucial for Antigua and Barbuda’s economy, accounting for nearly 60 percent of GDP, was severely affected, bearing 76 percent of losses. In Dominica, Hurricane Maria decimated decades of development gains, impacting over 200 percent of the island state’s GDP. Poverty levels risk rising above 60 percent. Nearly 60 percent of damages relate to housing and transportation infrastructure, with recovery costs estimated at around US$1.3 billion. 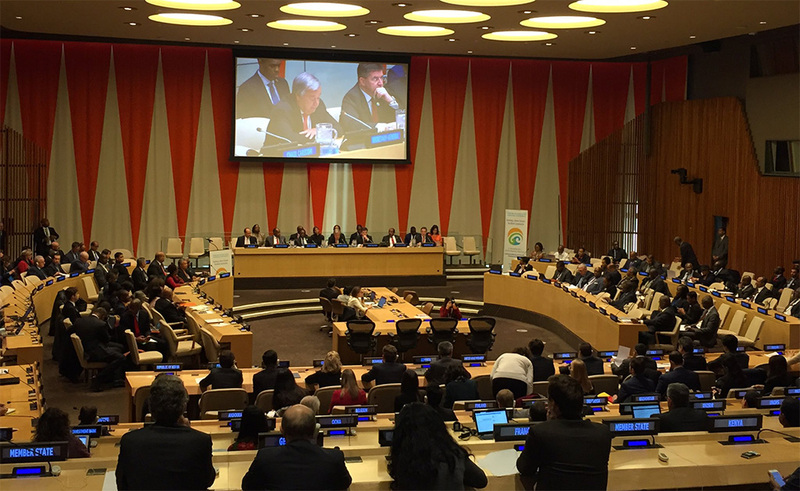 Responding to the urgent needs, over US$1.35 billion were pledged by established partners and new ones, highlighting the importance of South South Cooperation—from the region and beyond. Estimated amounts: $702million from The Netherlands; $352 million from the European Union; $140 million from the World Bank; $ 78 million from Canada; $30million from China; $27 million from Mexico; $12 million from Italy; $4.3 million from the United States; $4 million from Japan; $1 million from Kuwait; $2 million from India; $1 million from Venezuela; $1.2 million from Belgium; $1 million from Chile; $500,000 from Denmark; $300,000 from Colombia; $250,000 from Haiti; US$ 250,000 from New Zealand; $200,000 from Brazil; $150,000 from Kazakhstan; $100,000 from Romania; $100,000 from Portugal and $20,000 from Serbia. Moreover, the Inter-American Development Bank pledged U$1 billion in loans, Italy, $30 million in soft loans while Venezuela forgave $1 million in debt for a more resilient Caribbean.